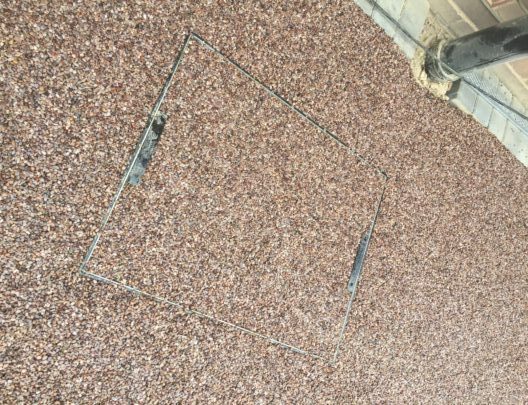 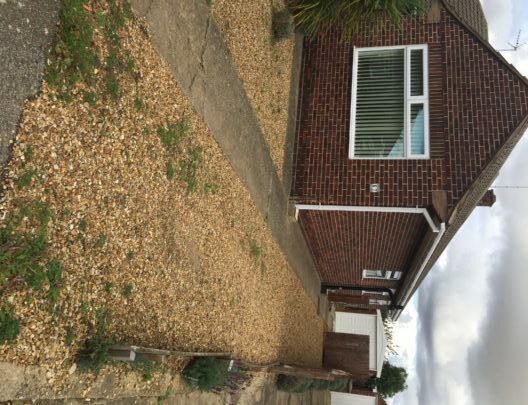 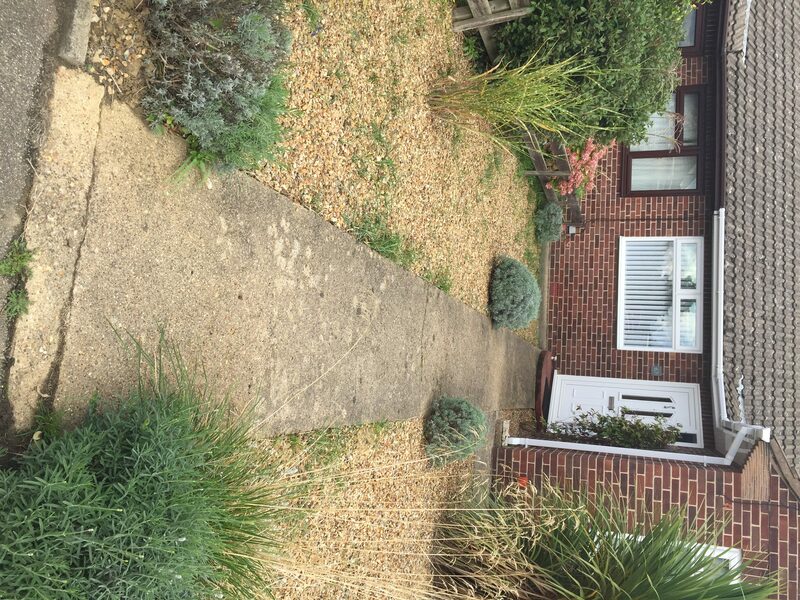 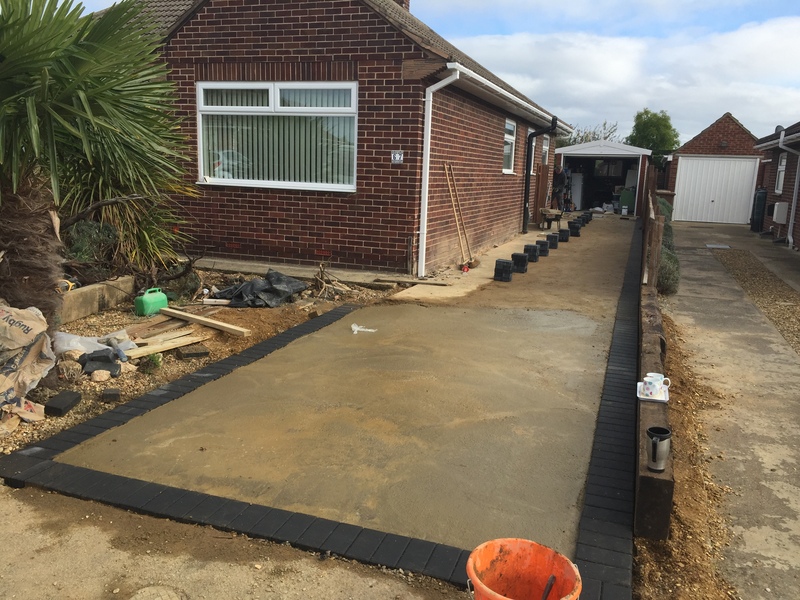 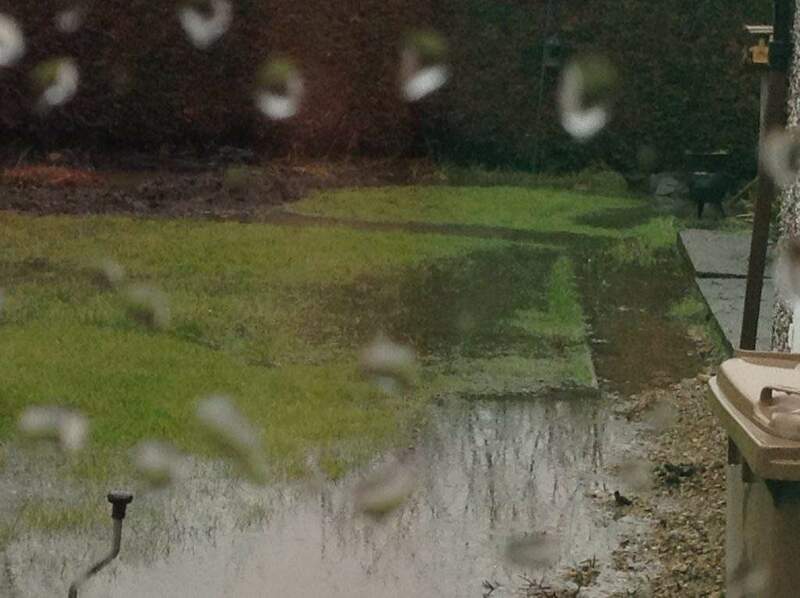 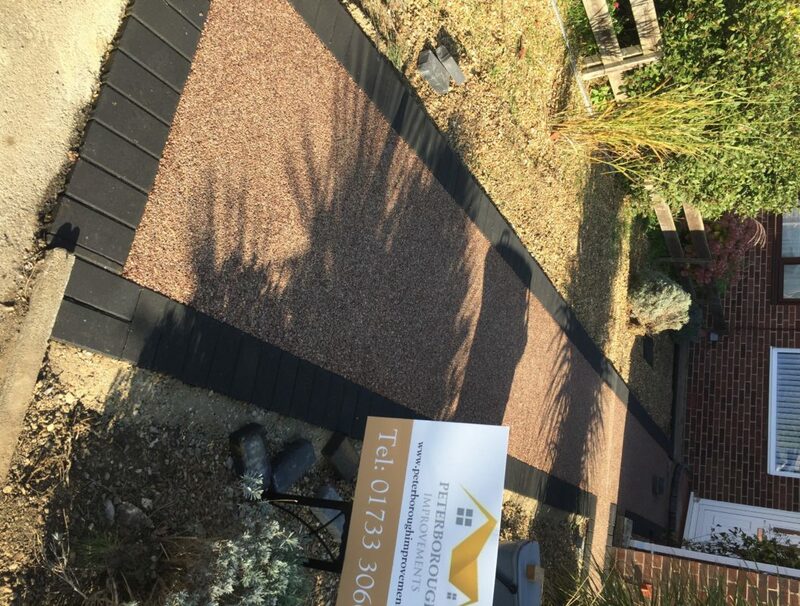 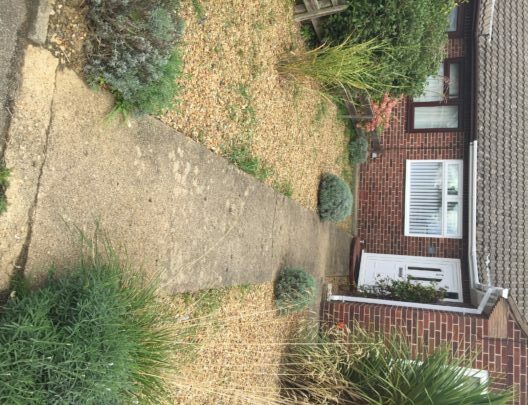 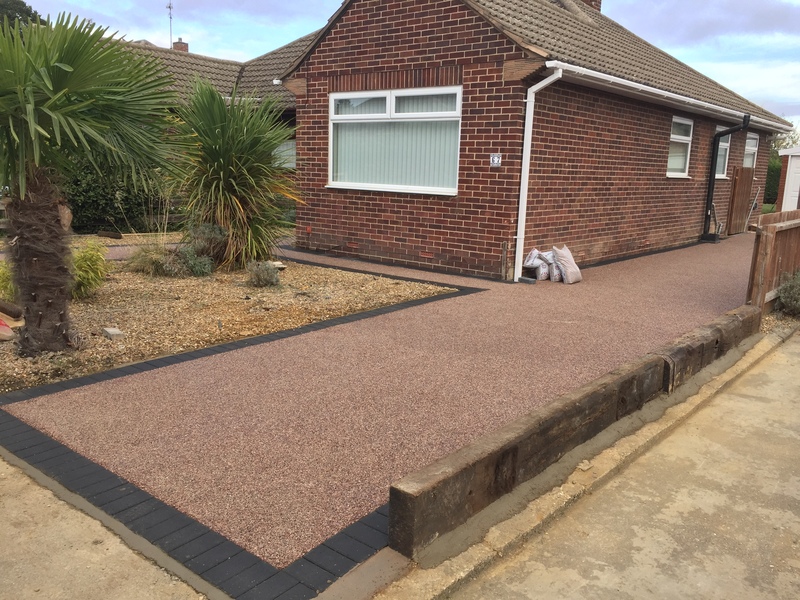 Our clients in Werrington village were having huge issues with their garden flooding as well as having a tired looking driveway and front. 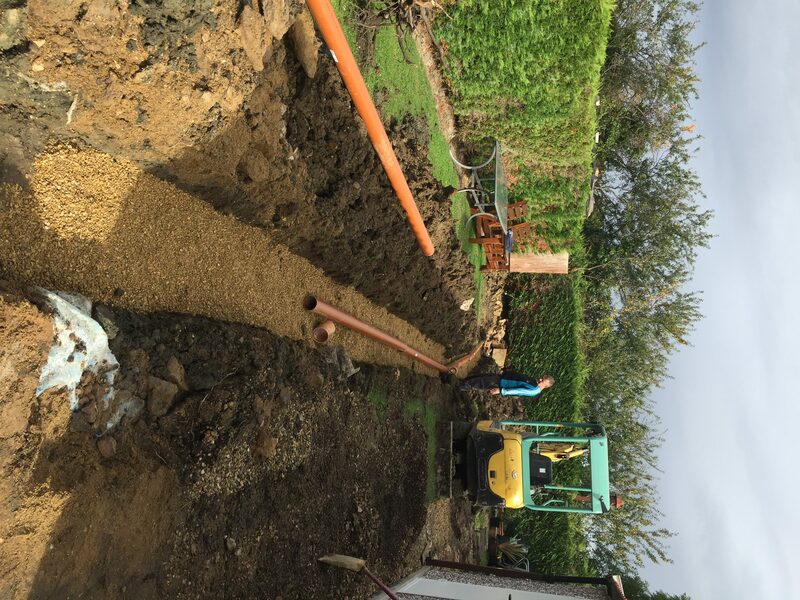 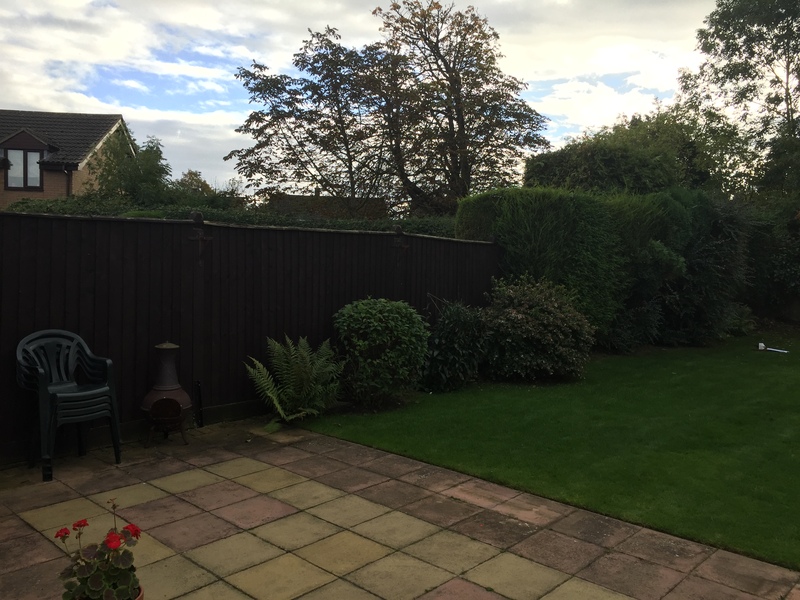 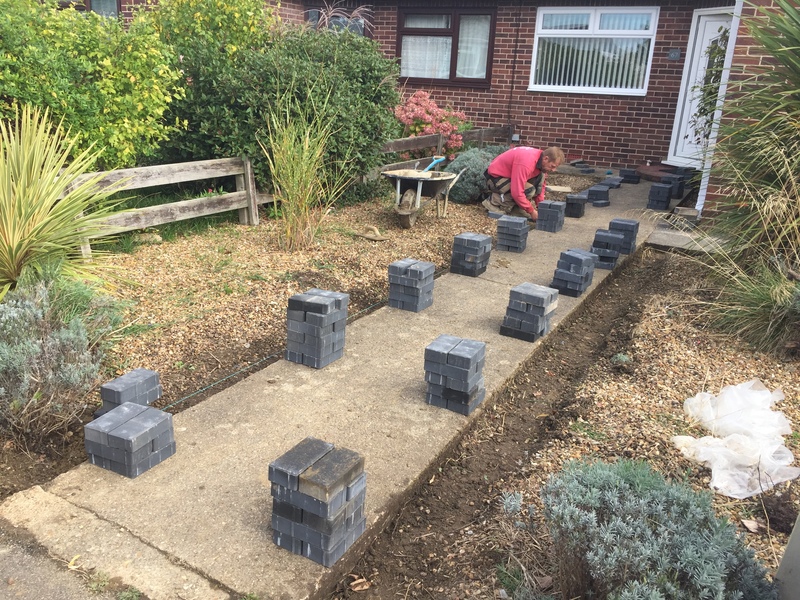 After a visit to give some advice on how we could improve the drainage for the garden it was decided that we would lift the entire rear garden and install new drainage. 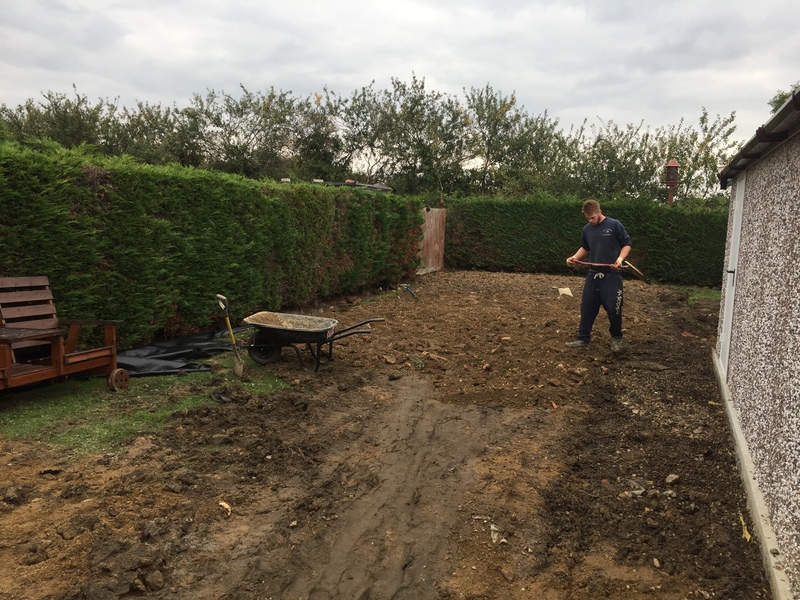 We would then lift the height of the garden which was previously sloping down to a level height. 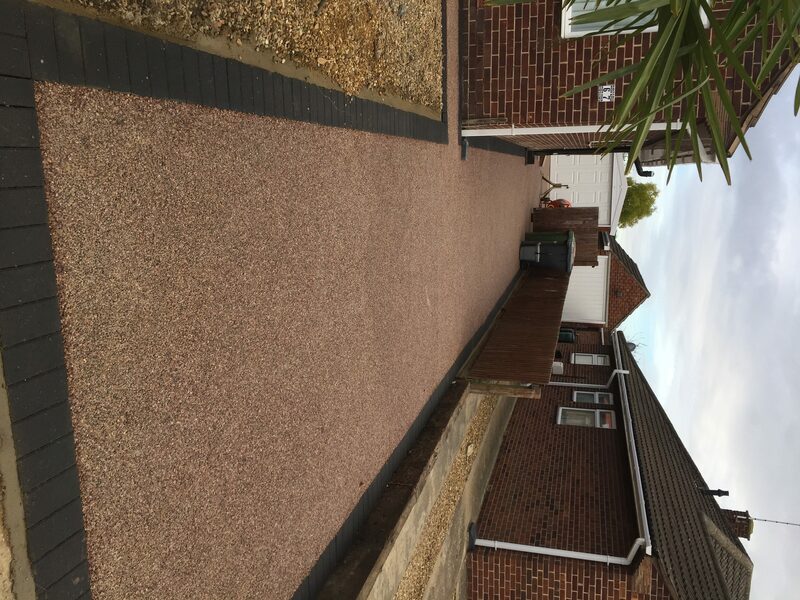 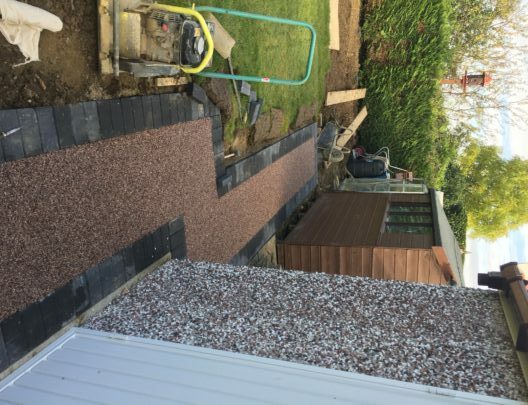 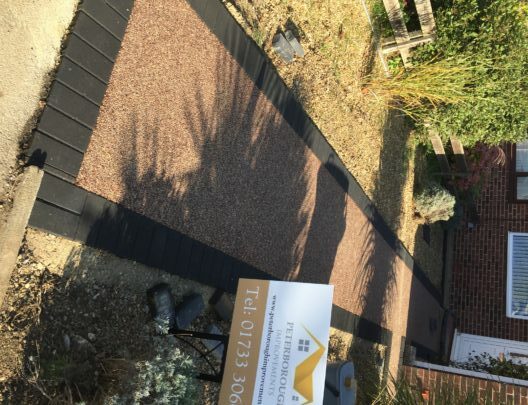 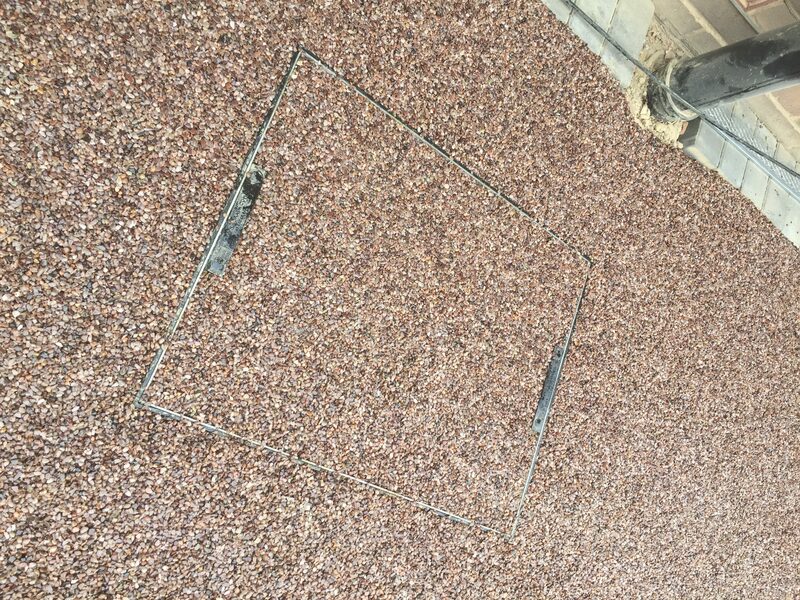 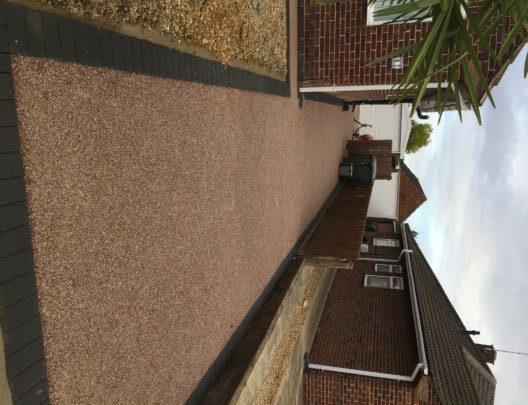 The client loved the idea of a Resin Driveway, Patio area and pathways which we installed in Staffordshire Pink with a Charcoal Blocked Border. We also installed new steps as with Resin inserts to compliment the install. The previous steps were extremely low which meant a big step down into the rear garden. The new install has solved all the flooding issues and the customer cannot believe the transformation of not only their garden but their entire font of the house and driveway.